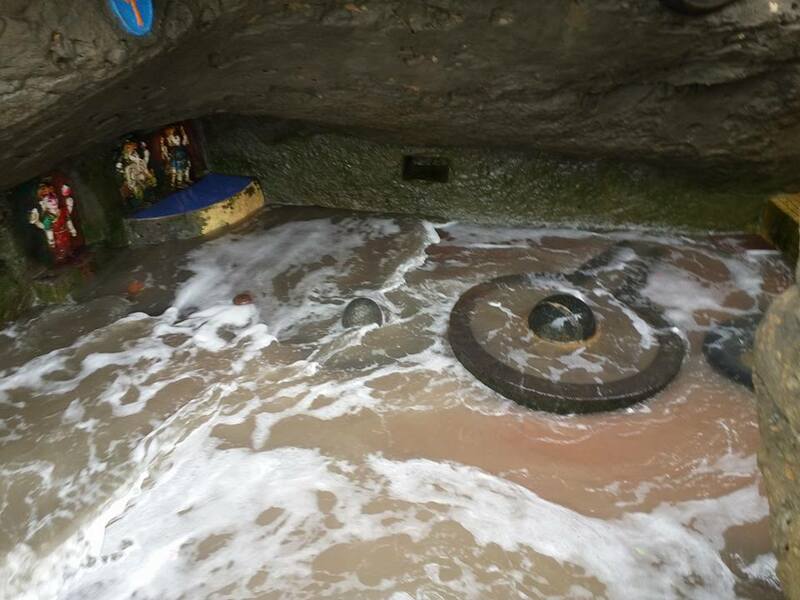 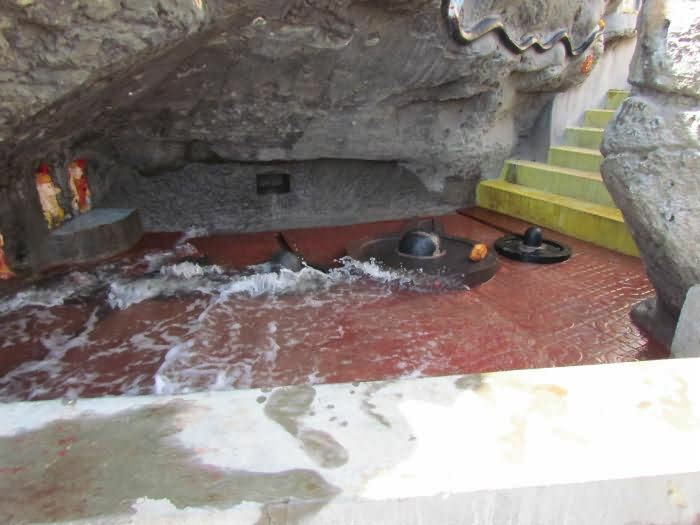 The Gangeshwar Mahadev Temple is unique as it has Shivlingas which are washed by the sea. 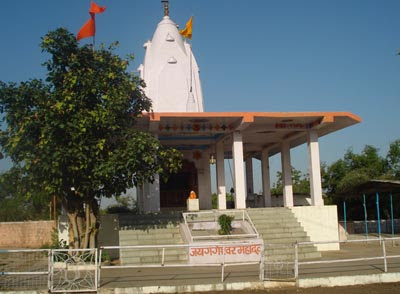 Located at the Jallandhar beach, there are many other attractions nearby. 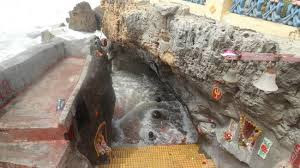 The two main churches are St. Paul's and St. Francis of Assisi.The temple has a peaceful and serene atmosphere which provides a positive experience.Here is Some Information about Gangeshwar Mahadev Seashore Temple in Diu Gujarat India. Gangeshwar Mahadev Temple is situated 3 Km away from Diu in Fudam village Gujarat India.The temple was built in mahabharata times and built by Pandavas.The temple is dedicated to Lord Shiva known as Gangeshwar Mahadev.The Main attractions of this temple is Five shivlings are located in the midst of the rocks on the seashore washed by the tidal waves of the sea.It is believed that the 5 Pandavas during their exile worshipped Lord Shiva in this temple. 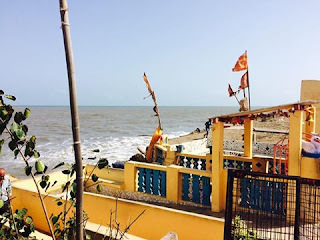 The Gangeshwar Temple is located near the sea shore so known as a Seashore Temple. 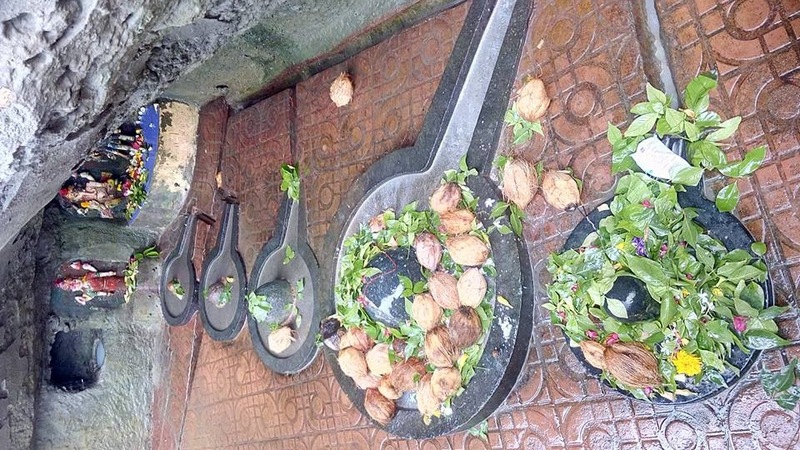 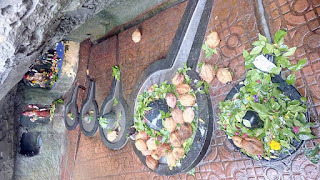 The legend is that five brothers came to the area but had nowhere to worship before eating. So they created five lingas or stones, generally used as representations of Shiva, set along the waters edge. 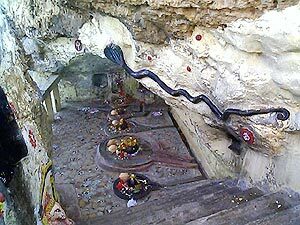 Sheshnag, the serpent God, is carved in the rock above and watches over the lingas. 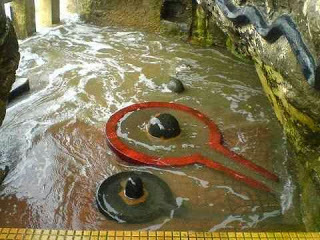 Each night at high tide the risen waters cleanse the temple, leaving it fresh for each new day’s offerings by devotees. 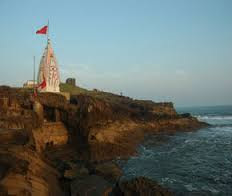 By Air: The Nearest Airport is Diu Airport about 3 Km of Gangeshwar Mahadev Temple.Many Big cities connected Diu Airport. 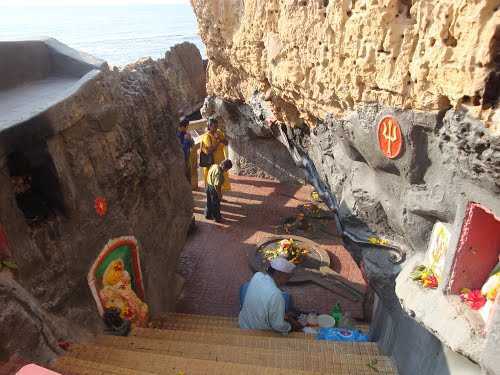 By Rail: The Nearest Railway station is Delvada Railway station within 11 Km from Gangeshwar Temple Diu. 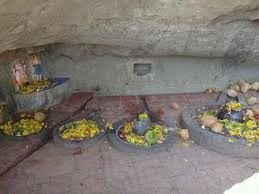 By Road: There are many public and private vehicles available to reach Gangeshwar Mahadev Temple Diu Gujarat.